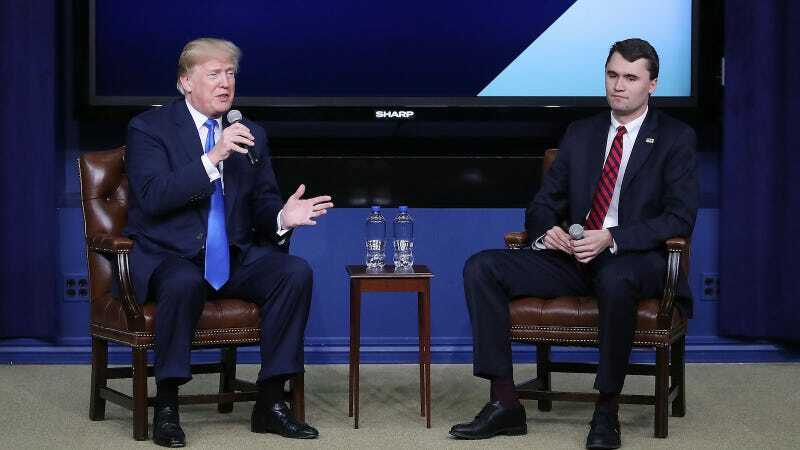 Trump was interviewed today by Turning Point USA’s Charlie Kirk, whose organization is supported by the Trump family (and the fossil fuel industry) and aims to transform “totalitarian” college campuses into fountains of conservative thought. “Don’t run for president,” the president replied. Yes, good, a good idea. It’s too bad—distressing, really—that he did, in fact, run for president and now has no choice but to be President Forever.